With so much negative thought out there on the millennial generation it’s good to see more articles looking at the millennial generation holistically – and I’m not talking about a defense of the generation. Does the millennial generation deserve to be vilified? No. Do millennials need to be responsible for how they operate in the world? Yes. There seems to be a pervasive pattern that every generation always has a similar response to the upcoming generation: conform or get out. I think saying one generation or the other should conform is a dangerous road to go down. The current workforce is not “right” and millennials are not “right”. The question is how do people, old and young, work together in an ever-evolving landscape? “Adapting to the workforce as it is” is a a dangerous sentiment on it’s own – you can’t resist change and evolution my friends! I think it’s important to note I’m not taking sides, my whole point is taking sides is stupid – it’s a fault of being a human that brings all the suffering we have today. Figure out how to work and grow together – we would be in a very different planet right now. 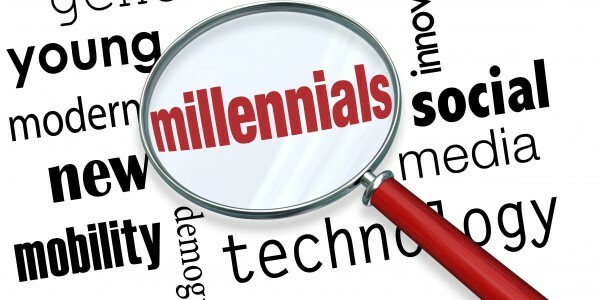 Millennials do need to be responsible for many things as they are entering the workforce; we see a very common naiveté among millennial candidates that often translates to or is interpreted a lack of professionalism and sometimes a sort of selfishness. Millennials need to make sure they are acting appropriate to the situation they are in, honoring the other people around them instead of living and acting from their own little self-centered bubble. Conversely, companies need to be adapting their cultures, office environments, perks, incentives, growth opportunities, communication structures, and compensation packages to attract and retain the absolute rockstars that the millennial generation is producing. Companies like Google, Amazon, and Apple are reaping the benefits of this strategy. Bottom line, if we all adapt and look from working together in ways that empower and support everyone, then maybe we can create the strongest and most productive workforce yet!